Does President Trump's unusual behaviour show that the pressure of the midterm results has gotten to him? "What Trump doesn’t seem to realize is that without French money, the USA would not even exist as France financed the American revolution." - Guy Verhofstadt, Chief Representative for the European Parliament on Brexit. Donald Trump has sent out a series of angry tweets directed at French President Emmanuel Macron. Although this would be major news for any other global leader, it has become the norm for the US President to use his Twitter account to share his dislike of others. However, Trump's latest stunt has been shocking even for him, as the messages were sent on the anniversary of the Paris 2015 terror attack. 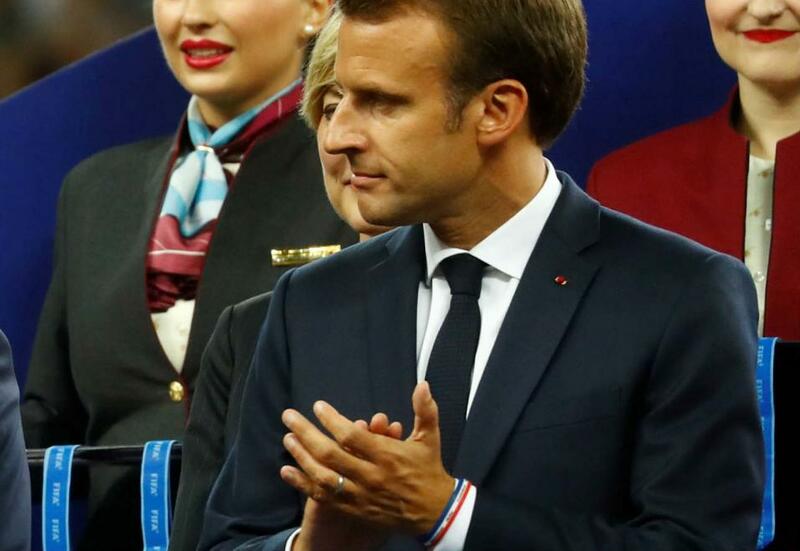 It appeared as though the US President was upset by comments Macron made at Sunday's Armistice event to mark the 100th anniversary of the end of the First World War. The French President publicly denounced those embracing nationalism, adding that "demons are resurfacing". After finishing a visit to Paris, the US President appeared to mock France, saying that its people had started to learn German before American troops intervened in the Second World War. It seems as though Trump may have got his wires crossed though. The US President confused Macron's wishes to strengthen the Europe's military forces - something that Trump has previously advocated for - with comments the French President made about cyber-hacking from other countries including North America. Chalking it all down to a simple misunderstanding doesn't seem to be on the cards, as key European leaders took great offense to Trump's comments. Guy Verhofstadt, Chief Representative for the European Parliament on Brexit, defended France's role in global politics. The US President also cancelled a visit to an American cemetery in Paris because it was raining, which led the Armée de Terre to post a picture on its official feed with a caption that is translated as 'it is raining, but it is not a big deal'. Is it a sign of the midterm pressure? However the President dresses it up, the midterm elections were a major setback for him and the Republican party. Losing control of the House of Representatives makes impeachment more likely and decreases any chance of him passing further legislation without an executive order, despite the Republicans gaining more seats in the Senate. It isn't just Macron that is suffering from Trump's reaction to the bad news. The Commander-in-Chief has reportedly cancelled multiple activities to honour Veterans Day in the US. His attack on a CNN video, and the alleged doctored video of the event, has also provoked claims that the President is reeling from his losses in the midterms. The President has also questioned the legitimacy of the elections in Florida, accusing people of wearing disguises to the polls. UK Prime Minister Theresa May has also supposedly felt Trump's wrath this week. In a call to congratulate him on the GOP wins in the Senate, the President is said to have snapped at her over unrelated topics. As the chances of impeachment increase and Trump's ability to pass further tax legislation decreases, investors will be understandably growing nervous about what the rest of 2018 and beyond may have in store for the US President. While experts have made their predictions about how the midterm results will impact the US and global economy long term, only time will truly tell, especially with the Mueller investigation still underway. However, one thing is for sure; the markets have proven to be robust enough to shake off most of Trump's erratic behaviour so far.